Sometimes the people you thought would be easiest to buy for, turn out to be the most tricky. Especially if you leave them to the last minute and everything you thought of has sold out in the Black Friday sales... 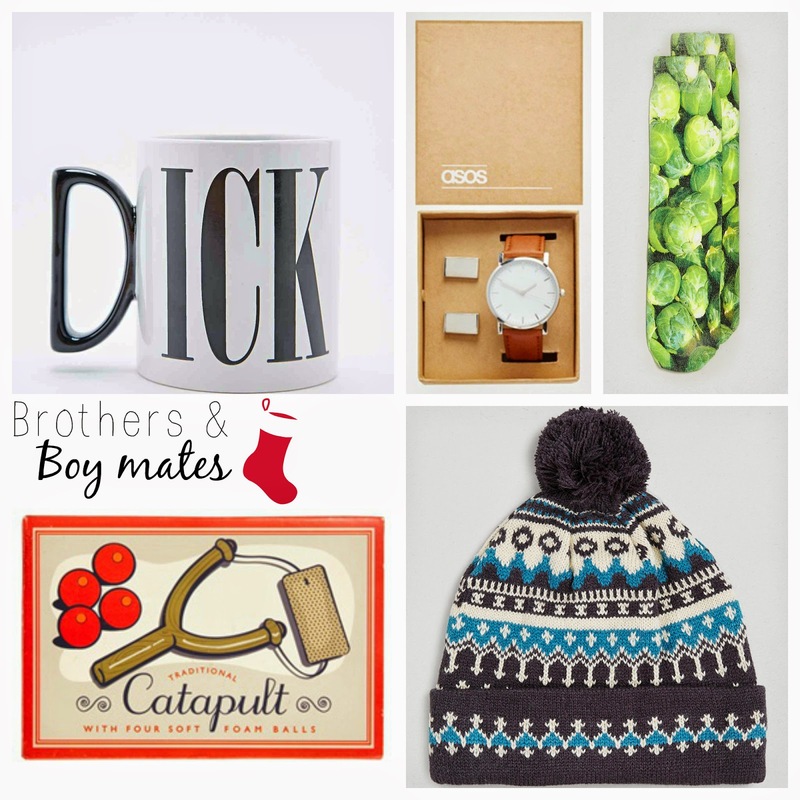 If this is what you've done, don't fear, here are some new ideas for your pals and siblings. Hopefully you've been able to get some ideas and if all else fails chocolate is always a winner! 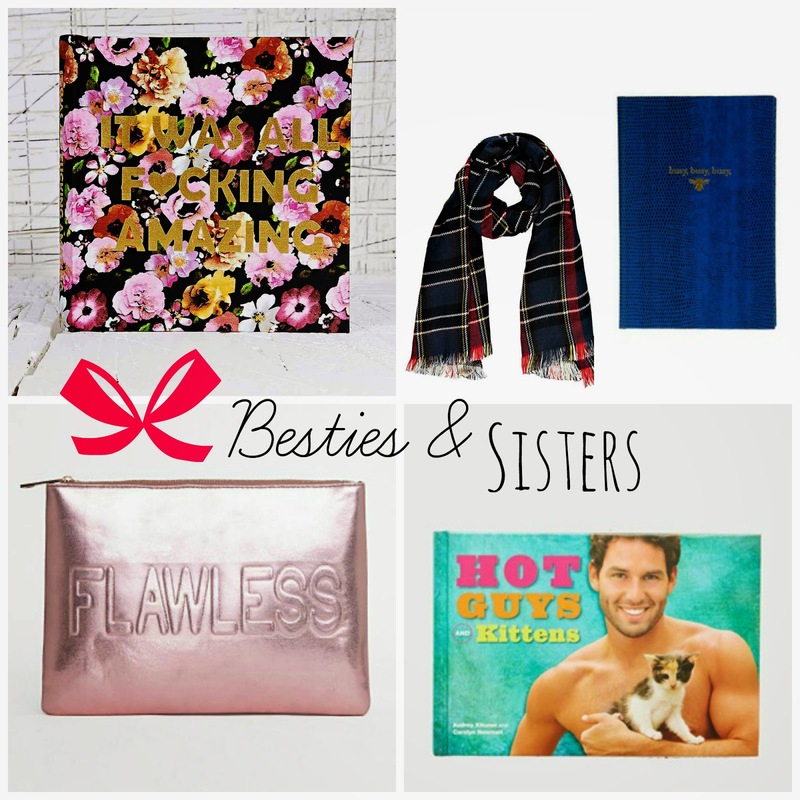 Look out for more of my Christmas Gift Guides coming up soon, while you wait, here's some more Christmas themed posts!! 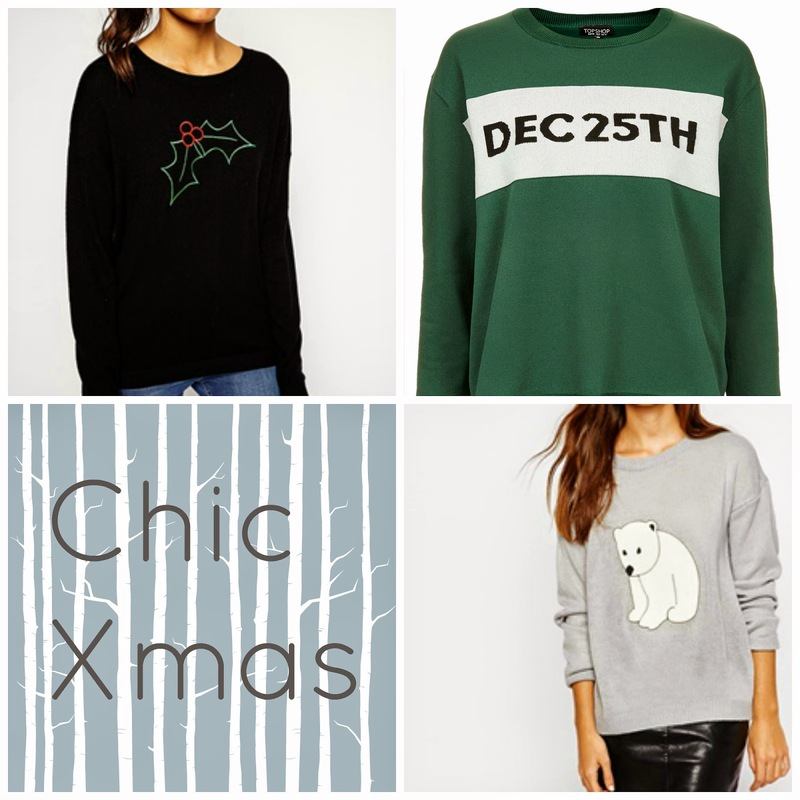 Christmas jumpers are an essential from pretty much December the 1st onwards... but 12th December is the OFFISH Christmas Jumper Day this year! 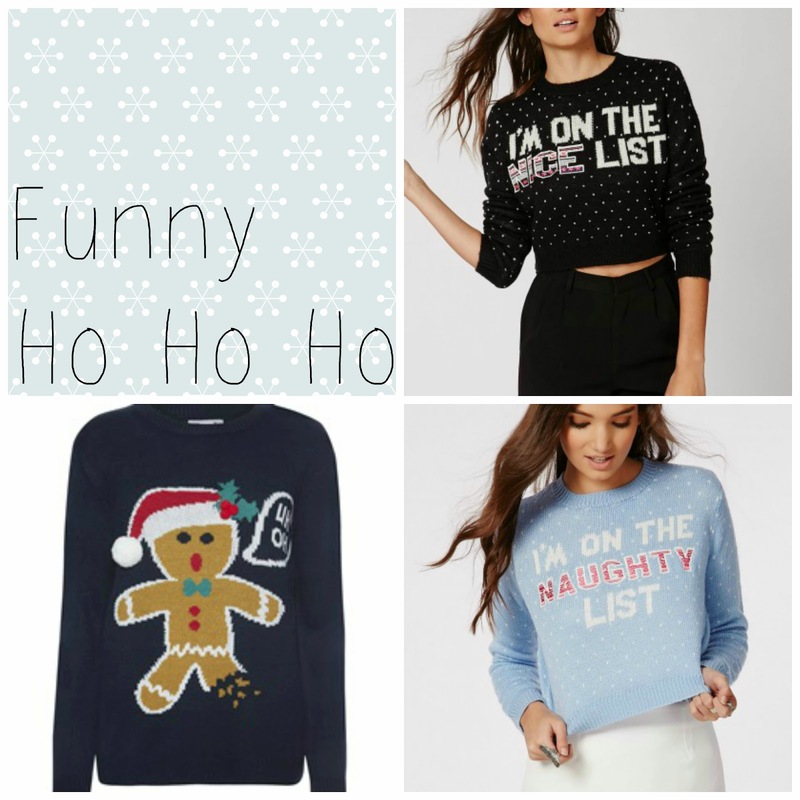 I've got everyone in my office on board to wear their best Xmas jumper and donate £2 to Save the Children! 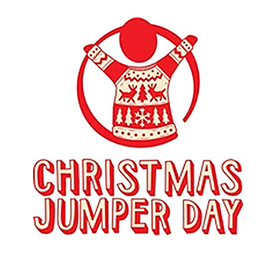 If you want your school, college or workplace to join in, read how you can get involved here: www.savethechildren.org and have a browse through some of the best Christmas Jumpers on the high street (in my opinion!) below to choose which wooly you'll be wearing on the 12th... or just from now until new year. 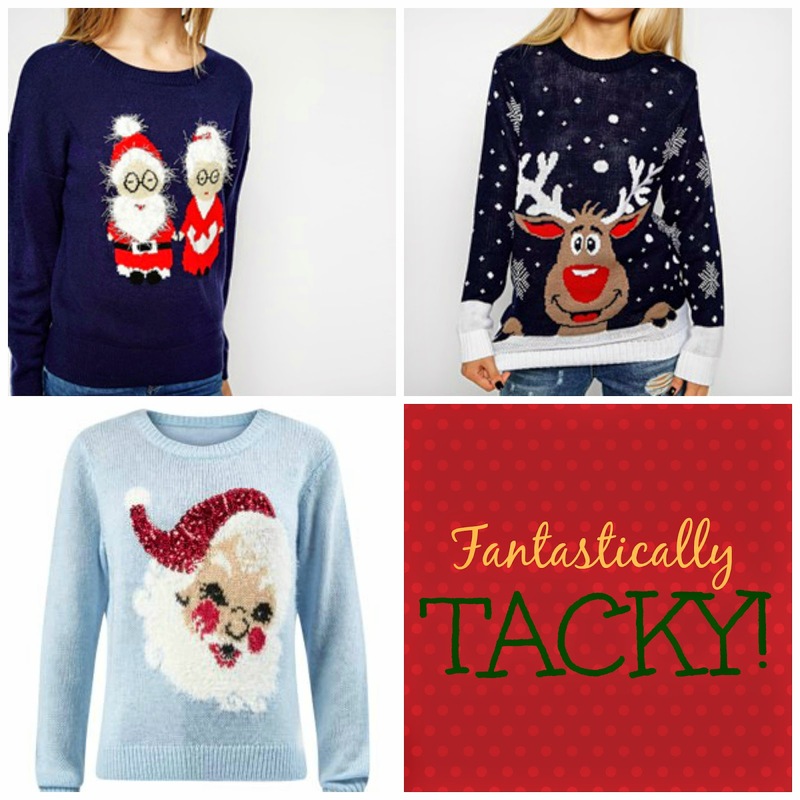 Tag your #XmasJumperSelfie on Instagram! Although he's lost his little nose, he's still very cute! This is a bath melt so it is packed full of essential oils and if it's anything like the other lush bath melts I've used, will leave skin so soft and smelling lovely! It is made of almond oil and cocoa butter and has a lovely Christmassy smell which is made up of cinnamon leaf oil, clove leaf oil and sweet orange oil. I'm saving this one to use nearer to Christmas! This is a bath bomb containing popping candy and cinnamon leaf oil to recreate the warmth of an open fire (according to the lush website...) This smells really similar to the melting snowman, Christmassy and lovely! Bubble bars are my favourite lush bath product because you can crumble a little bit off and spread it out between at least 3 baths! This looks amazing but the glitter transfers on the everything, so if you're not a fan of glittery hands, clothes and face you may prefer another one! This contains Patchouli oil, persian lime oil, clove oil and sweet orange oil, so as you can imagine, it smells pretty damn good. This is one of my favourites! I love anything apple scented, although I'm not sure what apples have to do with Christmas but I love it anyway. It's pink inside and lets off a lovely rose scent as its fizzing away. FAVE. This has a very sweet scent made up of mandarin and bergamot oil. It smells a bit like refreshers! Definitely a little treat for Christmas eve! This is a Christmassy bear shaped version of the Butterball bath bomb. Containing cocoa butter, cocoa powder and ylang ylang oil its really nourishing leaving skin feeling so soft. I've never heard of Skin & Tonic so I had a google and was very impressed with their organic ingredients and sustainable ways so I was really excited to have this feature in my November box! It's thistle, eucalyptus and spearmint so as you can imagine it smells really fresh and light. It can be used as a nourishing balm or a cleanser. You're meant to rub it in to your face and neck and then place a hot cloth over your skin to cleanse using the steam. I can't wait to give it a try! 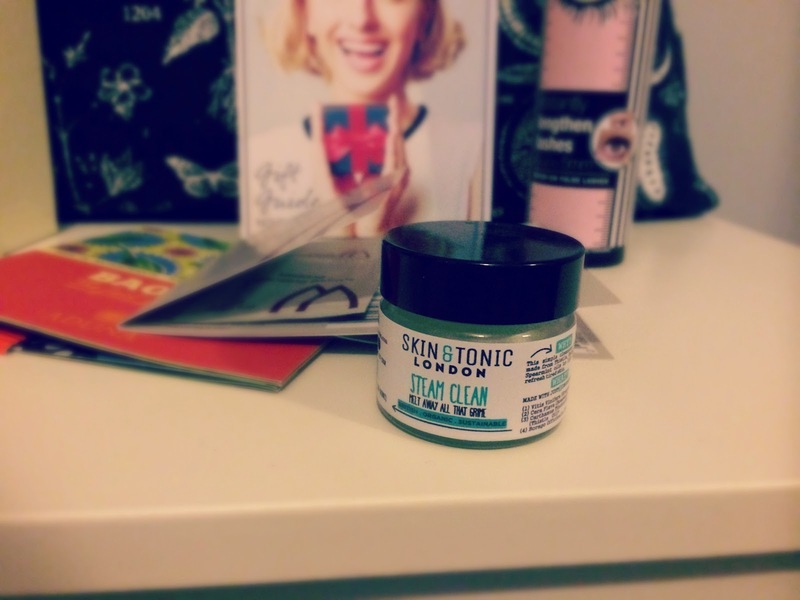 I'm always a bit dubious about trying new skincare because my skin is so sensitive! One wrong move and I could be suffering for weeks with blotchy skin. What I've read about this brand puts me at ease slightly, natural ingredients like sweet almond oil sounds lovely and gentle. This is a fruit powder designed to be added to smoothies, sprinkled on top of cereal or mixed in with your yoghurt to give you an added boost of essential vitamins. Sounds like just what I need during a cold November! What did you choose for your box this month? Thank you to my camera lady and cocktail buddy Nadine for helping out with this post! A few weeks ago me and Craig had a couple of days off work together so we took a little look a Mr and Mrs Smith and booked up a spontaneous getaway. We went to the Cotswolds and stayed in The Rectory Hotel which was THE most beautiful place I've ever stayed! Booking through Mr and Mrs Smith gets you two free cocktails too! I'd always heard through the beauty blogging grapevine that Kiehl's products were worth their salt but I hadn't got round to trying anything until recently. My eyes always tend to get dry and sore coming into the winter and I wanted something to help combat that. I was initially looking for the Midnight Recovery Eye Treatment but the very friendly sales assistant pointed me towards this as it's richer and creamier and gives more intense moisturisation. Avacado Oil helps to restore moisture and contains vitamins A,D and E.
Beta-Carotene is a natural antioxidant derived from carrots and produces Vitamin A.
Shea Butter is a natural fat which protects the skin from dehydration. 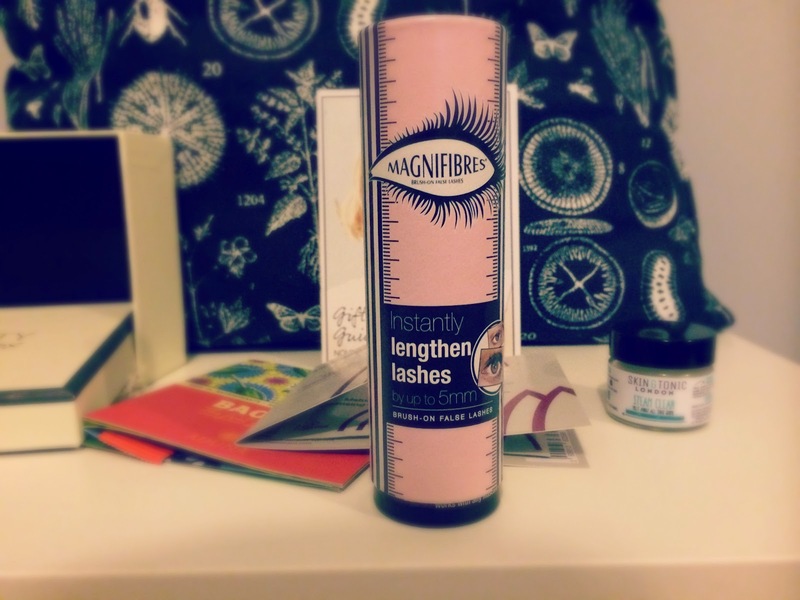 To gently moisturise the delicate eye area. The formula is Ophthalmologist and Dermatologist tested and does not migrate into eyes. This product definitely lives up to it's claims! Its such a rich creamy formula and it sinks in to the delicate skin around the eyes really quickly. 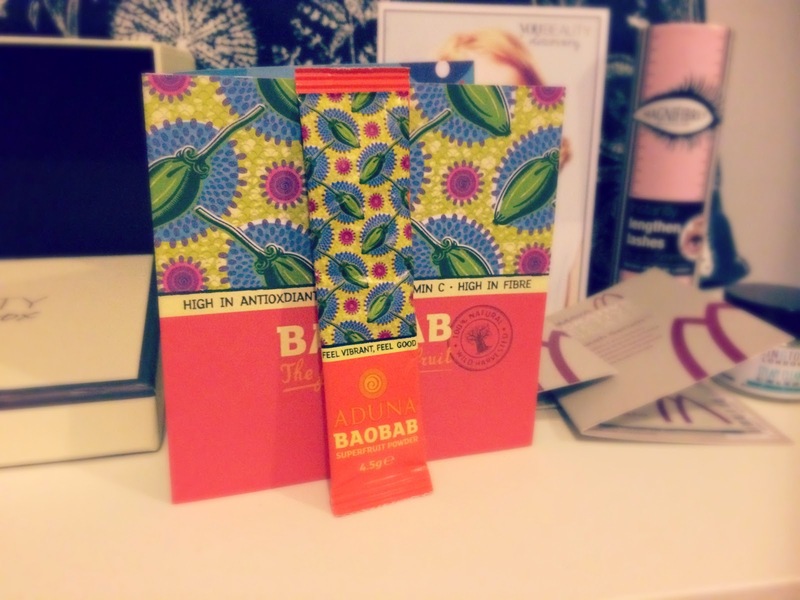 It leaves my eyes lovely and soft, improves the appearance of bags in turn making them look brighter and more awake. I initially tried using it in the morning, however I found it doesn't sit right under makeup, my eyeliner would be halfway down my face by lunchtime! So now I only use it as a night time cream and have found this to work really well. It is quite pricy but it's very rich and creamy so only a small amount is needed for each application, meaning it lasts quite a long time. I'd definitely recommend this if you tend to get sore, dry eyes especially around autumn and winter, and also if you're too young for wrinkle cream but want to start taking care of your skin early... prevention is better than cure! Have you tried any of Kiehls Eye products? 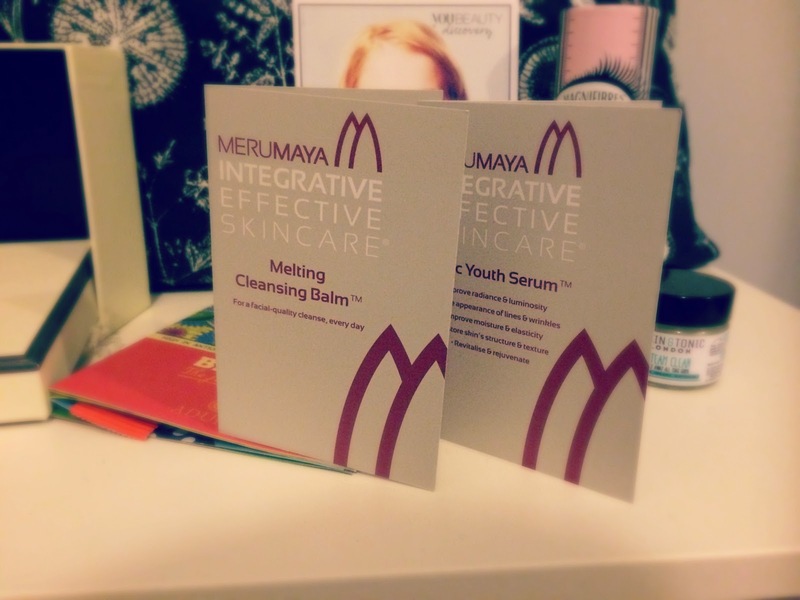 Fancy some more skincare posts? 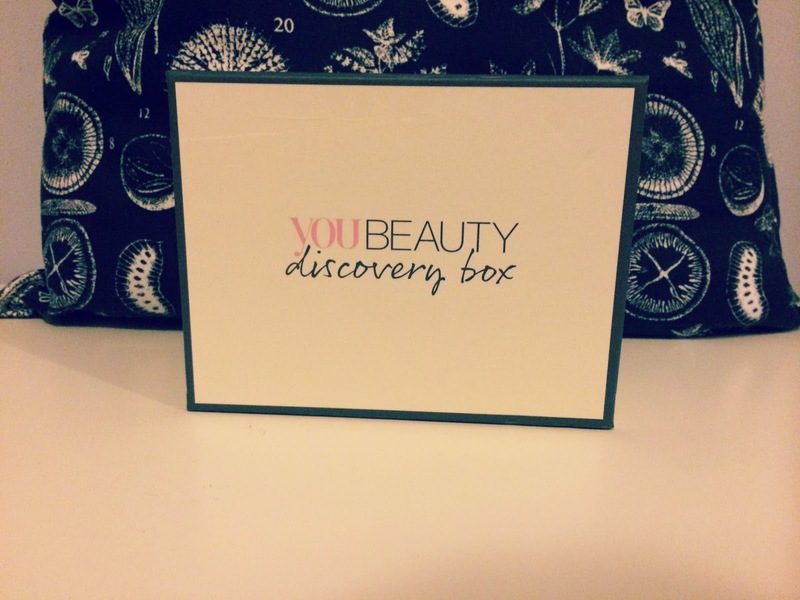 You Beauty Discovery box is a beauty subscription box delivered monthly. For £6.95 a month you can choose two products from the range available that month and they are posted to you with a few extras thrown in. Featuring a variety of new brands and some heavyweights such as Eyeko, Toni and Guy, Daniel Sandler, L'occitane, L'oreal, Cowshed and Rituals, there's bound to be something for everyone. 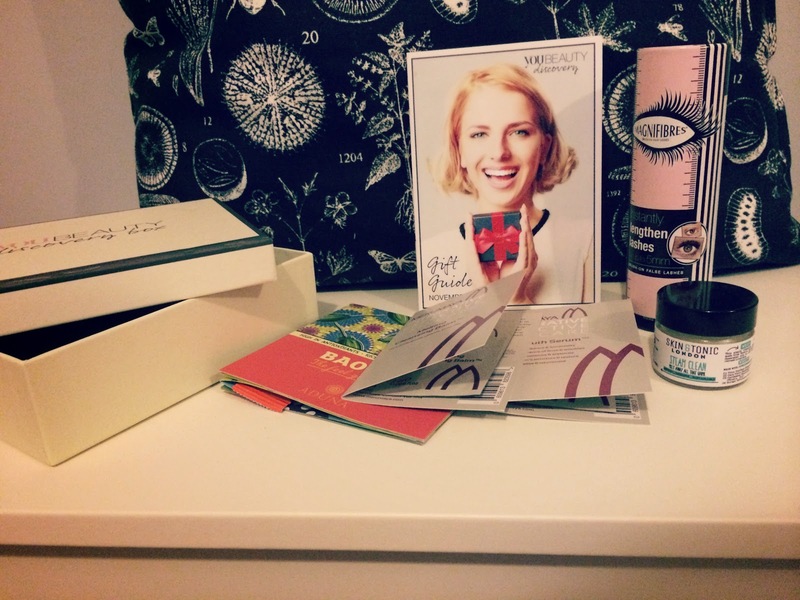 September was my first box and it celebrated You Beauty Discovery's 1st Birthday! This claims to dry your nails in 60 seconds, prevent flaking and enhance the colour of your manicure. To give hair all day bounce from the roots. Containing SPF 15, free from Parabens, Intensely hydrating and moisturising. Delivering recipes and fresh ingredients directly to you. I'm quite happy with the selection, especially the extras as the Toni and Guy product is full size! The Mavadry nail polish is my favourite product in the box, I tried it on the same day it was delivered and it completely dried my nail polish in less than 60 seconds! Which is great for me as I'm constantly smudging freshly painted nails! Although it didn't prevent against chipping and flaking more than any other top coat I've tried. At first I wasn't too impressed with the Wild About Beauty Lipstick. For a lipstick worth £15, I expected the packaging to be better. The design is pretty but it's very lightweight plastic and feels very cheap. Saying that, the actual lip product is very nice, creamy and nourishing and the perfect shade for a neutral lip. I am yet to try the other products so will review separately, overall I'm happy with the products in the box and at £6.95 you can't really go wrong! It's a lot cheaper than other beauty boxes on the market and actually gives you a choice of what you'd prefer to avoid disappointment. AND I've just this very minute received my October box through the post so I'm looking forward to showing you that too!